Yesterday I took a trip to Ikea with my friends Mandy and Jon. It was a impromptu trip so I thought it deserved an impromtu vlog. Mandy has been going on at me for ages about how much she wanted a Expedit and a desk system and who am I to say she shouldn't get it. We trammed it on down to the Croyden Ikea and of course I bought more than I'd planned. I havn't actually done a video for the week so I thought I'd double up up and do a homewear Ikea haul (coming in the next few days) and the vlog to accompany it. So keep an eye out for the haul video over on my channel in the next few days. Remember to subscribe if you havent already! Anyway, you can watch the video above to see all the fun and frolics from the day! ahh i love ikea!! it always reminds me of 500 days of summer! I still don't understand why I've never been to Ikea! I need it in my life. I have a shelf based on those big Expedit ones. My boyf's dad is a carpenter so he made it to fit one entire wall in our spare bedroom. It houses all my shoes. Tis a wonderful thing. Got to love Ikea - loved it! 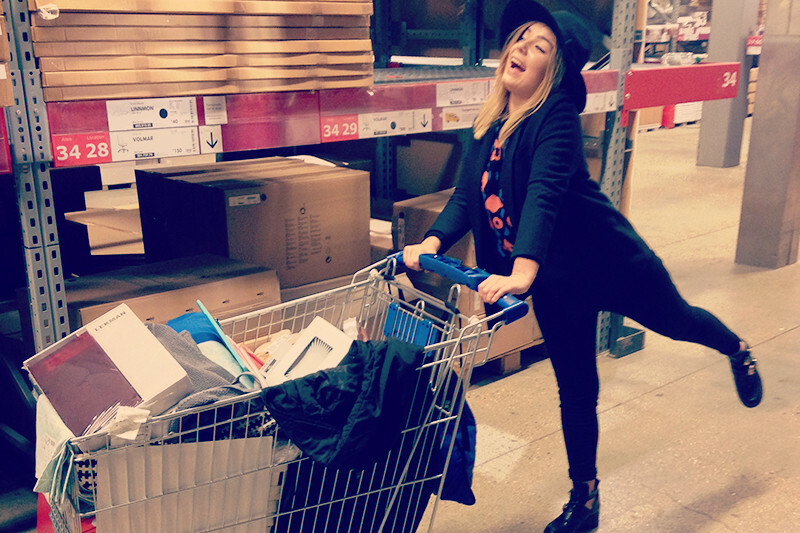 Yeah, I second to that joy :) I'm always in a great mood when I visit Ikea. I don't know how they manage to cheer me up that way. Ahhh I love homewear hauls so bad. This has gave me major envy. I need to go to ikea soon! Ikea is like a beauty bloggers heaven! If I had my own house/flat/place to furnish I'd live in IKEA. Which would be silly, given that I'd have my own house/flat/place to furnish. But seriously, I probably think about IKEA every day. Lovely, lovely IKEA. IIIKKKEEEAAA! This video makes me want to redecorate my room...Oh my god I should not go to Ikea the next few days! ikea i just perfect. i will be moving soon and i'm already picking and getting stuff so i don't have to buy everything at once and i love ikea food. its so yummy. I would happily live in Ikea if I could. 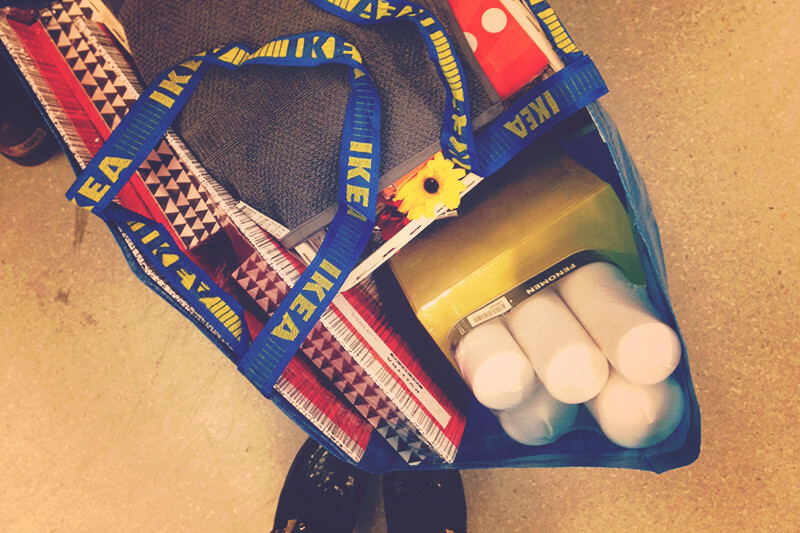 I have an Ikea trip planned for next month and I'm probably a little too excited about it. cool video! And i can't get enough of ikea!! I have too much love for IKEA! Love Ikea! I love that it's impossible to pop in and pick something up - you have to browse and look at everything! IKEA!!! I live right by one, and I shop there all the time. Love it! i love IKEA so much, every time i go there i want my own house to decorate !! Oh who doesn´t love IKEA...you should see the huge ones in Sweden...and Finland also has them big enough. I now have a sudden urge to go to ikea and buy lots of new homeware stuff! My bank balance is not gonna be happy. Ikea is like a day trip for me , I love seeing all the kitchen and living room sets and just day dreaming about my future house!